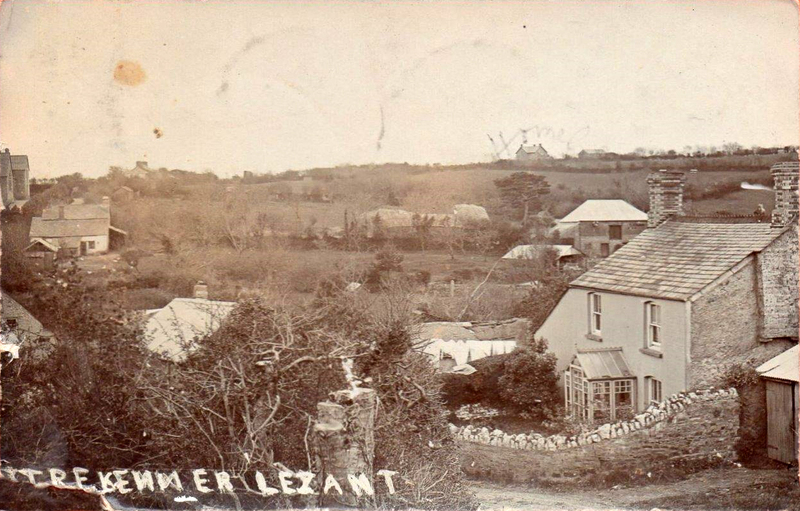 Lezant and its history | Launceston Then! Lezant ( Lannsant) village is about five miles south of Launceston. The population of the parish in the 2001 census was 751, increasing slightly to 765 in the 2011 census. The River Inney divides the parish from the parishes of Stoke Climsland and Linkinhorne on the South and on the west are North Hill, Lewannick and South Petherwin. The parish encompasses the hamlets of Higher Larrick, Rezare, Trebullett (Trebollet), Trekenner and Treburley. The name of this district, like the names of several others in this neighbourhood, is derived from no particular saint, although it has an immediate reference to the church, which seems to have extended the import of its appellation to the whole parish. In the Cornish tongue Lezant signifies holy church, or all hallows. At what particular time this name was imposed upon the district or parish over which it now extends, it is almost useless to inquire. 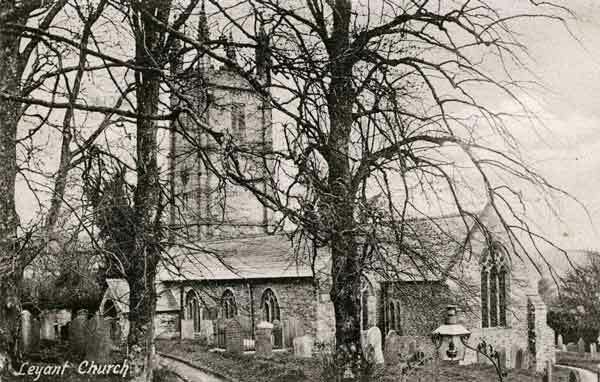 Trecarrell however, an ancient manor in this parish, was well known at the time of the Conquest; and at that time, this might have been its secular name, while Lezant was its ecclesiastical one, and was restricted in its application exclusively to the church. At Trecarrell the ruins of an ancient chapel are still visible, which was dedicated to St. Mary Magdalen. Another formerly stood at Landue, dedicated to St. Bridget, and a third in another part of the parish, dedicated to St. Laurence. The manor of Trecarrell gave its name to an ancient family that flourished here prior to the Norman Conquest. The parish of Lezant lay within the bishop’s peculiar manor and deanery of Lawhitton. The Church was dedicated to St. Briocus on September 25th, 1259. It comprises a chancel, nave, north and south aisles and a vestry. The church of St. Breoke is an ancient building of granite and freestone, in the Perpendicular style, consisting of chancel with aisles, nave, aisles, south porch and an embattled western tower, with octagonal battlemented turrets and crocketed pinnacles, containing six bells; the chancel retains the ancient piscina and an aumbry, and there is a piscina in the south aisle; the rood stairs remain. 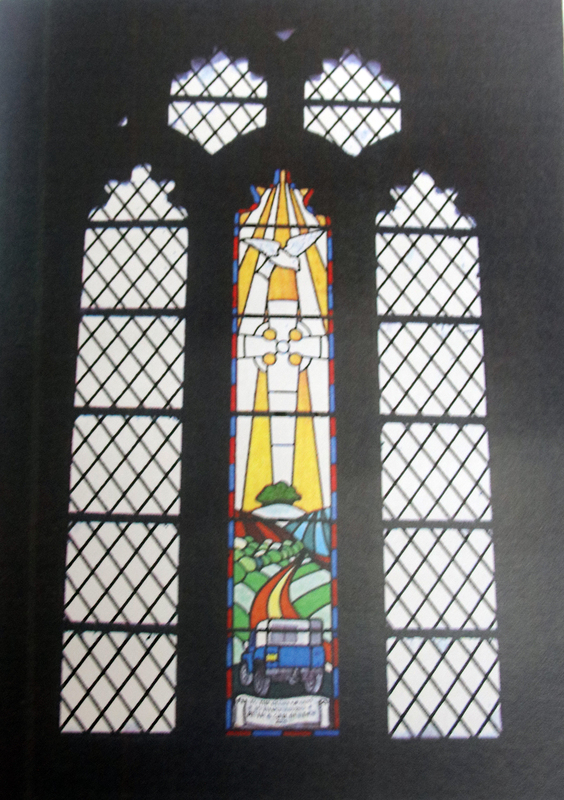 The south window in the chancel is a Memorial to Thomas and Caroline Phillipps, erected in 1871. The high altar of the church was rededicated in 1336; part of the chancel dates from slightly earlier than that. The rest of the spacious building is of the 15th century. 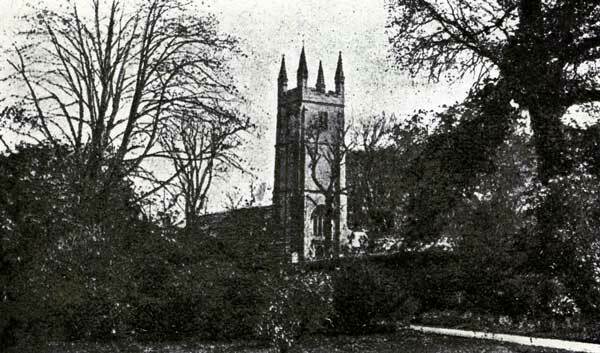 The church was restored in 1869, and has 222 sittings. The register dates from 1539. There is an altar tomb of carved slate to the Trefusis family. As this, so thou in church still lovest to be. On the south wall are the effigies of a man and children in the attitude of devotion and the recumbent figure of a woman. There is a Latin inscription to the Rev. Thomas Snell, A.M., who was Rector of the parish for 30 years, and died September 23rd, 1670. “In memory of the Rev. Charles Mayson, D.D., son of the Rev. Peter Mayson, M.A., whom he succeeded in the Rectory of Lezant, July 31st, 1784. Born at Frome in Somersetshire, he there under the instruction of his father, an able and judicious master, laid the foundation of those attainments which he cultivated and excercised as Fellow and Tutor of Wadham College in Oxford. In after life he was distinguished as a magistrate by an acute and vigorous understanding, a steadfast loyalty, an inflexible love of Justice, and an ardent desire of promoting the Public Good. As a neighbour, a master, a husband, and a freined, he was hospitable, kind, affectionate, and sincere. “Sacred to the memory of the late Revered Thomas Meyrick B.A., of Carthamartha in this parish, rector of Covenham St. Mary, Lincolnshire, second son of the late Reverend Owen Lewis Meyrick, rector of Holsworthy, Devon, and descendant of the house of Bodorgan in Anglesea. Fully conscious of the account he must give of the souls committed to his care, he discharged his duties with unremitting zeal for nearly forty years. His bequests to various societies for the relief of the poor were large and extensive. He was a man of classical and general learning. His private character was marked by strict integrity and upright principles. Although there is no account in John Wesley’s journal of his visit to the parish, it is stated that he preached in a room at Trebithick. 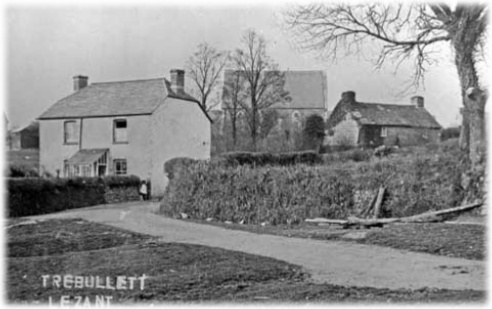 Towards the end of the 18th century James Gartrell, a local preacher, held classes at Trewarlett. In the Launceston Circuit Register of 1800 the list of the membership at Trebithick appears under the leadership of William Husband. Prayer meetings were also held at Higher Larrick. 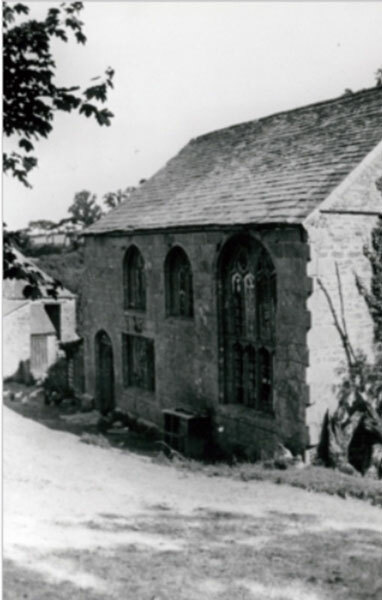 In 1810 a trust was formed at Trebullett, and a plot of land, in Russell’s Meadow, with a Methodist Meeting House belonging to Mr. John Husband, yeoman of Trecarrel Mill and elder brother of William, were transferred, and became the property of the Wesleyan’s. John Husband who was an old Methodist in 1810, and for many years had furthered the cause, had built the small building in 1806. 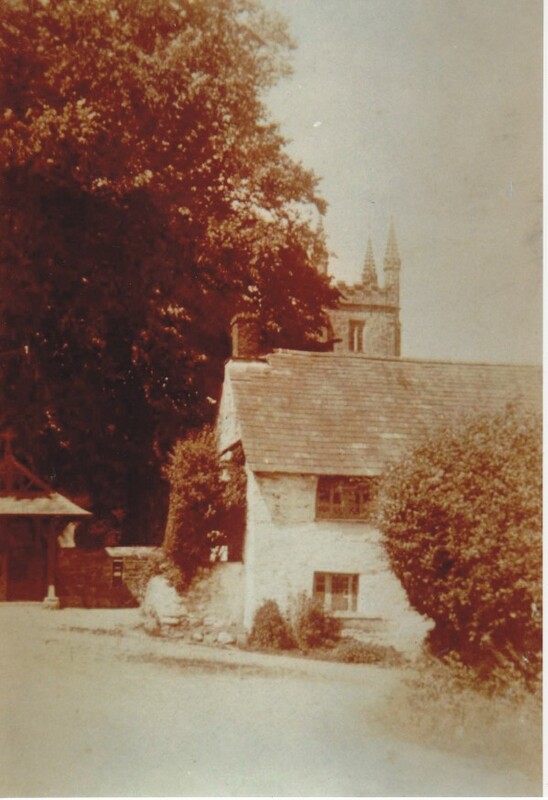 In 1844 a Sunday school was established and over the coming years the house was gradually enlarged until, in 1871, a new Chapel was built and the house then became a school room. A pipe organ was installed in 1887 with some general repairs being made to the premises. 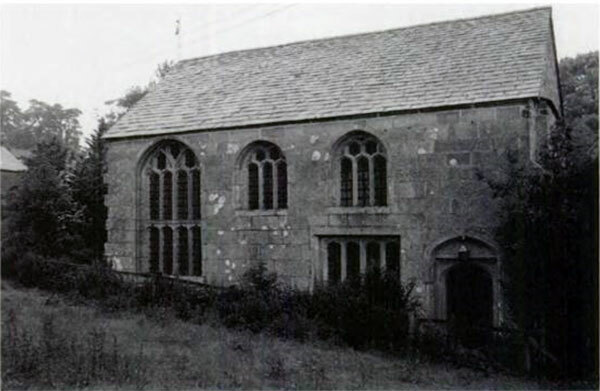 Both the Chapel and Sunday School were completely renovated at a cost of £600 in 1957. Today, the Chapel is part of the Launceston Area Circuit, and the Minister is the Reverend Jo Smart. 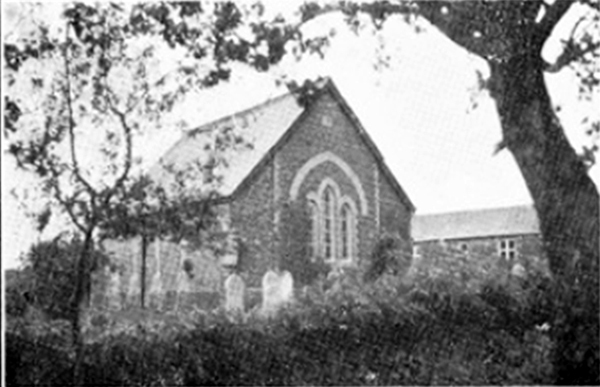 In April 1881 a United Free Methodist Chapel was opened at Treburley on land that was partly given and partly purchased on the old Callington road. It was built by Edward Rendell, of Stoke Climsland to a design by Henry Burt, Newport, Launceston. The edifice was of local stone, with white brick dressings, and was capable of seating 150 people, the seatings, which were open, being of very fine pitch pine, varnished. The interior was lit by four windows on one side, two on the other, and a handsome three-arch window at the end opposite the rostrum, the last-named being also of pitch pine varnished, with open panels backed with scarlet cloth, and mounted by a flight of stairs on each side. In front of this was a very neat communion, paved like the aisles with fancy tiles. The glass was cathedral tinted, and the seats at the back of the building were gradually raised, thus adding to the comfort of the congregation. 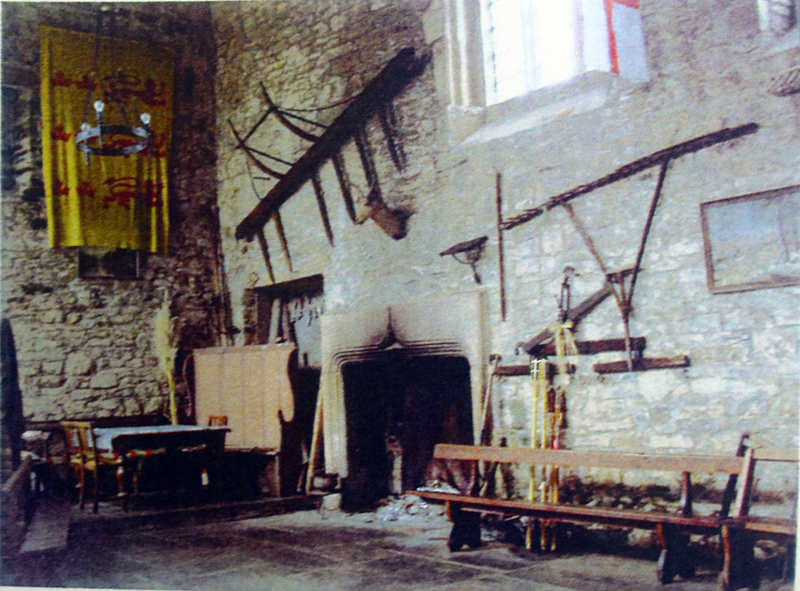 The walls were neatly plastered in stone colour and pointed to represent stone work. 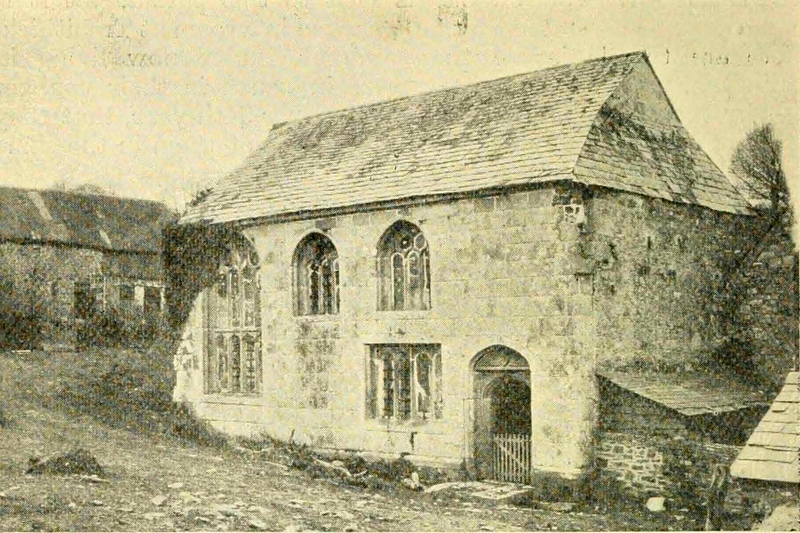 The entrance was through a spacious porch, and there was also a door on the left of the rostrum leading into a very comfortable vestry. This in turn opened into a large coach-house and tea making department at the back, over which there was a capital school-room, capable of accommodating 100 children, and admission was obtained by means of a flight of stairs rising from the entrance to the coach-house. Artificial light was given by several pairs of patent lamps suspended from the supports of the roof, which was partly covered with a plain ceiling. The contract price was £321. Cornish & Devon Post 23 April, 1881. Lezant. Opening Of A New Free Methodist Chapel. “We live in an age of chapel building”, was the remark of one of the speakers at the public meeting which followed the opening of a new United Free Methodist Chapel at Treburley, Lezant, on Easter Monday. Nor is this religious activity confined to the Nonconformists, who however, set an example in the good work which was difficult for our friends of the Church to witness passively. On all hands churches are being restored and the old machinery of the Establishment oiled and put in motion in a way that augers well for the future. But a truce to this ruminating. We now have to deal with Treburley, Lezant, Easter Monday and the Methodist success that attended our United Free Methodist friends. For some years the United Free Methodists have had a chapel at Rezare Village, formerly known as the “Wesleyan Association Chapel,” but it has long been in a dilapidated condition, and moreover, possesses in connection with it no accommodation for the 50 or 60 children belonging to the Sunday School. A debt also rested upon it, and several abortive attempts were made to extinguish the same, £24 only being raised and lodged with the bank to the credit of the object in view. At last it was decided to follow the plan which has, strangely enough, proved so successful amongst Methodists, namely, built a new chapel and trust to a fresh outburst or energy for the liquidation of the old with new liabilities. 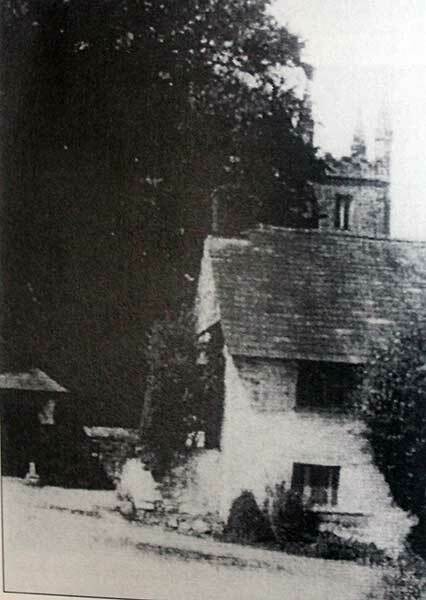 Accordingly, a site – partly given and partly purchased –was obtained on the old Callington Road, within a stone’s throw of the new road and the “Sportsman’s Arms,” and plans for the new chapel were prepared by Mr Henry Burt, Newport, Launceston. The memorial stone was laid in July last, and the work of erection was rapidly proceeded with by Mr Rendell, of Stoke, the contractor, on whom, as well as on the architect, the building reflects the utmost credit. The edifice is of local stone, with white brick dressings, and is capable of seating 150 people, the seatings, which are open, being of very fine pitch pine, varnished. The interior is lighted by four windows on one side, two on the other, and a handsome three-arch window at the end opposite the rostrum, the last-named being also of pitch pine varnished, with open panels backed with scarlet cloth, and mounted by a flight of stairs on each side. In front of this is a very neat communion, paved like the aisles with fancy tiles. The glass is cathedral tinted, and the seats at the back of the building are gradually raised, thus adding to the comfort of the congregation. The walls are neatly plastered in stone colour and pointed to represent stone work. The entrance is through a spacious porch, and there is also a door on the left of the rostrum leading into a very comfortable vestry. 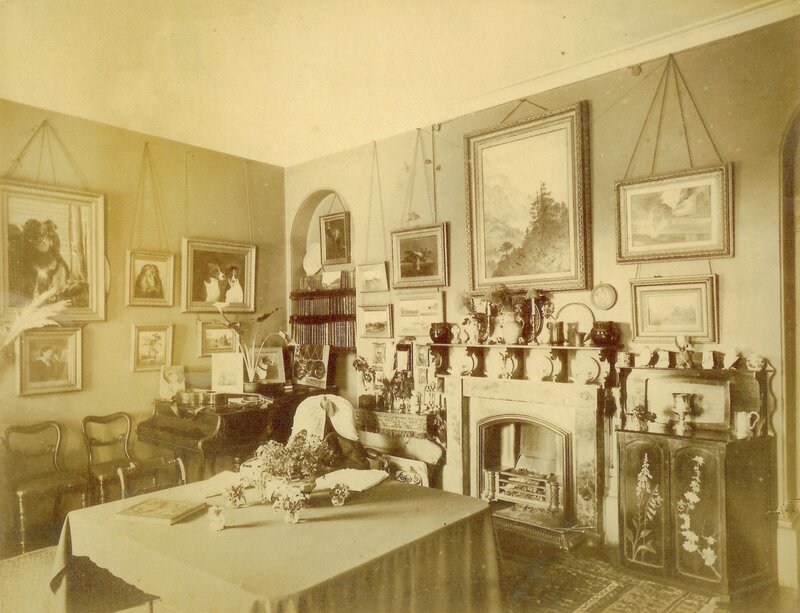 This in turn opens into a large coach-house and tea making department at the back, over which there is a capital school-room, capable of accommodating 100 children, and admission is obtained by means of a flight of stairs rising from the entrance to the coach-house. Artificial light is given by several pairs of patent lamps suspended from the supports of the roof, which is partly covered with a plain ceiling. The contract price was £321, to which, of course, there must be added a few other expenses; but it is satisfactory to find that the subscriptions and the proceeds of the stone-laying and other services during the year will leave a debt of only about £200. The stone and a donation was kindly given by the Duke of Bedford. The carting of the materials was done gratuitously by friends, with whom the contractor, with his customary generosity, worked most liberally. In medieval times there was a chapel of St Lawrence (mentioned in 1447) and at Landue a chapel of St Bridget. 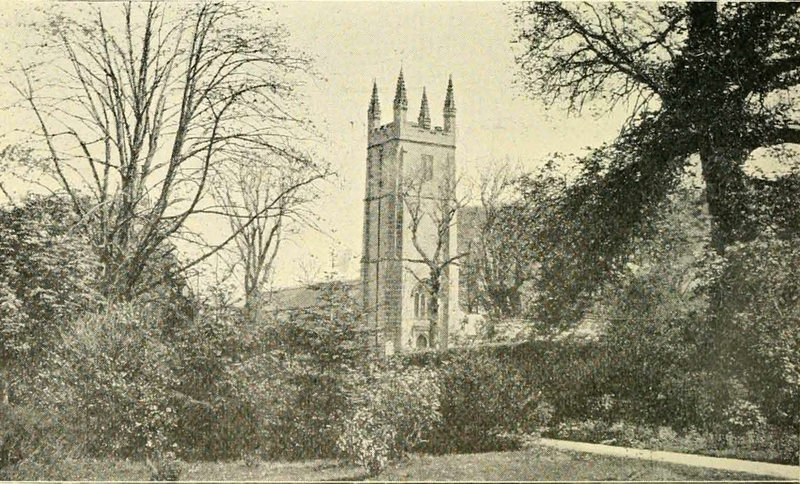 There was an oratory of the Wyse family at Greystone in 1329. At Trecarrel is the hall built by Sir Henry Trecarrel (now used as a barn below) very early in the 16th century. The carved stones intended to embellish the hall were afterwards used in the building of the Parish Church of St Mary Magdalene at Launceston. The ancient name of this parish, Lansante, gave name to a family, as a Deed is still extant, dated 19 Richard 11. (1395), between Rogerus de Lansante and Henry Page (possibly who gave the name to the crossroads at the junction of Tavistock Road and Race Hill) of Landue, with a fine seal of the family arms attached. This Roger de Lansante was also, about the same time, one of the witnesses to a Deed made by one of the Trecarrels. Trecarrel is also made famous in history by being a resting place of King Charles I. and his army, during the great Civil War of the Seventeenth Century. It was at Polson Bridge, near Launceston, about six miles from Trecarrel, where the King entered Cornwall on the 1st August, 1644, to pursue the army of Essex, who, it is supposed, crossed the Tamar into Cornwall either at Newbridge, Gunnislake, or at Horsebridge, in Stokeclimsland. The former is about six miles, and the latter about four from Trecarrel, in Lezant ; so we may regard this place as the centre of the seat of war at the outset of the personal campaign of King Charles; and no doubt the district of East Cornwall, including Launceston, Liskeard, Bodmin, Lostwithiel, and Caradon Down, was the scene of many a bloody battle in which the King himself took a prominent part. Trecarrel at this time belonged to the Manaton family, who must have been related to the Trecarrels; as the arms of the latter are on the tomb in South Hill Church, of John Manaton, who died in 1507. 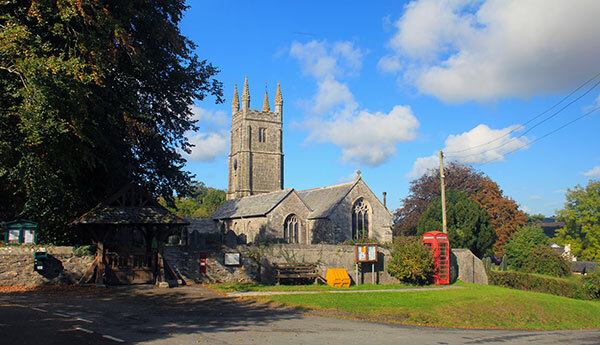 The Manaton’s had a seat at Manaton, in South Hill, and during the war Lord Bernard and his troops marched to South Hill, and Lord Bernard quartered at Mr. Manaton’s, of Manaton, in that parish, whilst the King stayed at the house of Mr. Jeane, in Liskeard. Ambrose Manaton, who entertained Charles I. at Trecarrel, was M.P. for Launceston in 1640, but was disabled in 1641 and 1643, “for deserting the service of the house being in the King’s quarters, and adhering to the loyalists’ party.” He died in 1651, and was buried at South Petherwin, where a monument to his memory displays two impalements of arms: Manaton and Resky- mer, and Manaton and Edgcombe. Landue (Landew) has passed from Landew, Trefusis, Herle, Kendall, Lawrence, Bant, Thomas John Phillipps, Esq. who married Treby, of Goodamore. 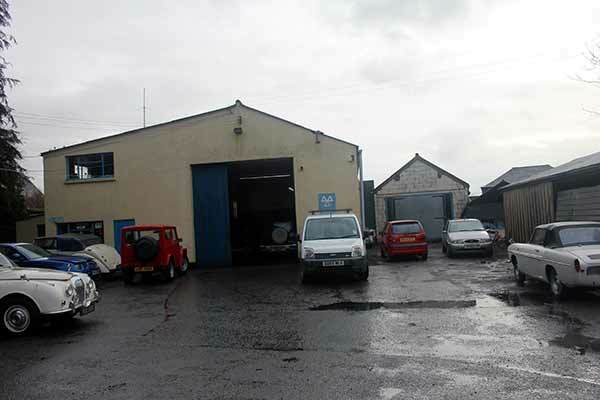 It was then purchased by John Simmons Tregoning in 1867 and remained in that family until the 1980’s. There was a chapel at Landue, dedicated to St. Bridget. 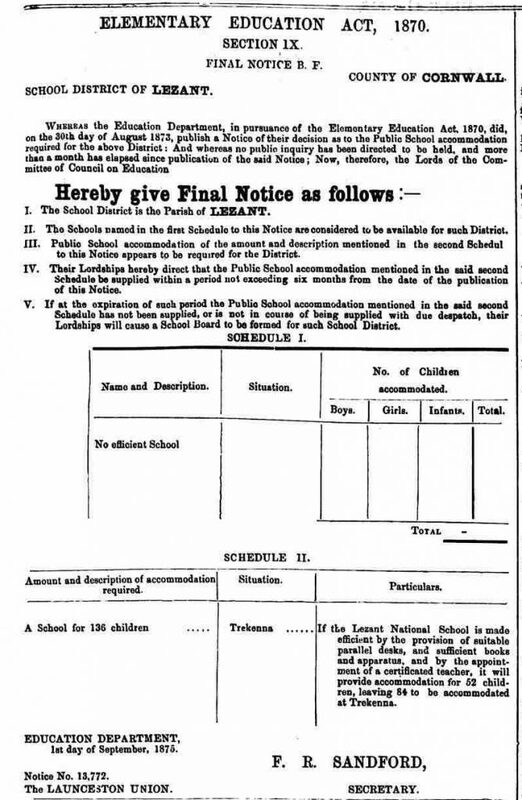 A new school was built at Trekenner in 1877 to plans drawn up by Launceston architect Mr. C. P. Wise. 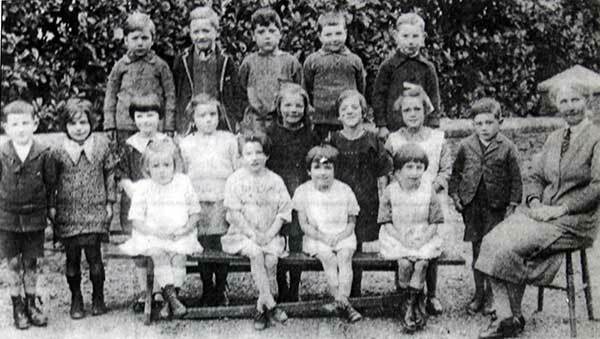 It consisted of two classrooms, lavatories, offices and a playground to accommodate 136 children. Also provided was the master’s residence which included parlour, kitchen, scullery and three bedrooms. The school was officially opened the following year. Rebecca, Richard and Richard junior Pearce at Tebullett carpenters shop in 1910. Jack Earle with his hoop along Miss Dennis, Les Rundle and Olive Budge at Trebullett in 1919. Trecarrel Manor Hall stained glas window. 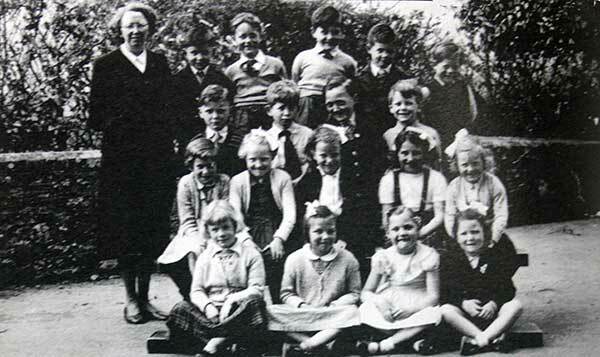 Trekenner School in the 1930's. 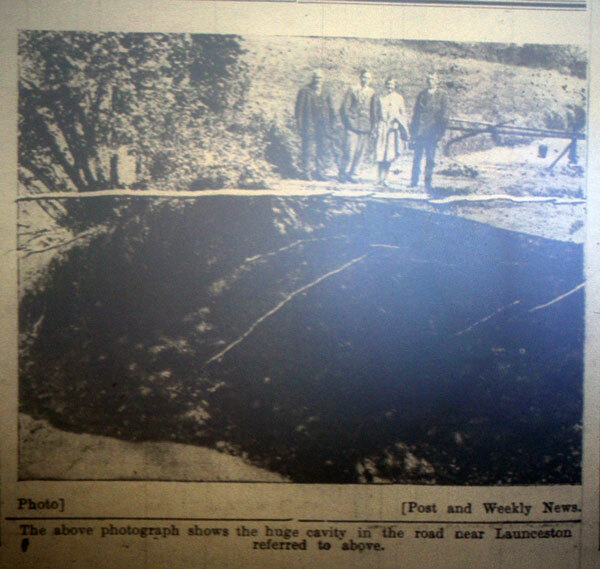 Road subsidence at Landue in 1931. Lezant W. I. win the 1967 Launceston Show W. I. cup and are being presented it by the shows President Mr. Bryan Latham. With thanks to Paula & Dave Kennington 2008 and Jim Edwards. 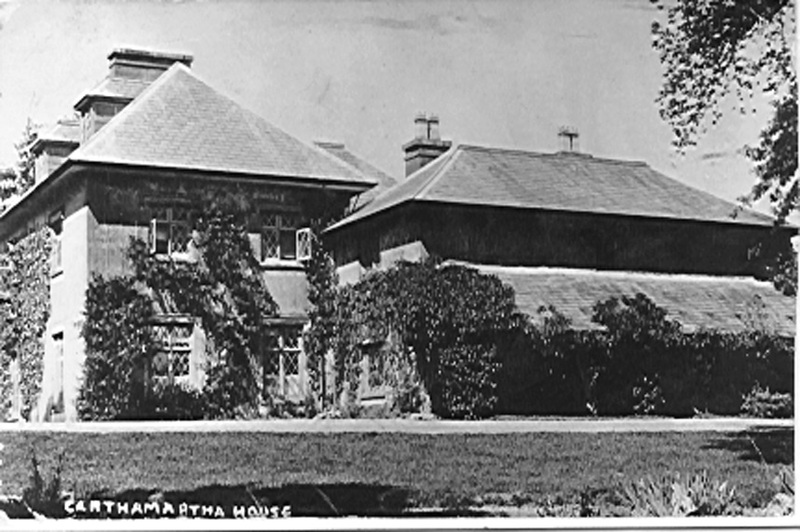 Samuel was born on the 1st of January 1892 at Launceston to Alfred and Mary Jane Abbott. His Father was a Blacksmith moving the family from Rilla Mill in 1901 to Wooda Bridge, Lezant in 1911. Samuel first started work as a General Labourer, but obviously learnt his Fathers trade. He emigrated to Canada in 1912 arriving in Maine on the 12th April aboard the ‘Ascania’. He worked as a Blacksmith for a couple of years before enlisting on the 24th of September 1914 at Valcartier, Canada with the 10th Battalion, Canadian Infantry (Alberta Regiment (Listed as Canadian Forestry Corps on memorial), (Regimental No. 19837). Passed fit 5th September 1914, enlisted Height 5 feet 5½ inches, girth 35 inches, complexion dark, eyes grey, hair dark brown; He was a Wesleyan. During the war he saw fighting in various battles at the Second Battle of Ypres in 1915, and in 1916 although the Battalion were not involved in the initial fighting at the Battle of the Somme, the 10th Battalion were involved in a series of operations from September 8th and October 17th, primarily defensive actions which were successful, north of Albert, France near the town of Boiselle. In 1916 they were also to fight in the battles at Thiepval and Ancre Heights. 1917 saw furious action at Arras, Vimy, Hill 70 and Passchendaele. In 1918 at the Battle of Scarpe a defensive operation, found the 10th Battalion once again in the Somme sector. A successful defence of the Fampoux area on the Anzain-Arras Road was made beside the Scarpe River, between April 27th and May 4th. All these theatres of war Samuel survived but he was evacuated home after being gassed but then cruelly contracted influenza and died on December 2nd, 1918 age 26. He was interred at St. Briochus Church Lezant. He is commemorated on the Lezant War Memorial and the Virtual Canadian Memorial. 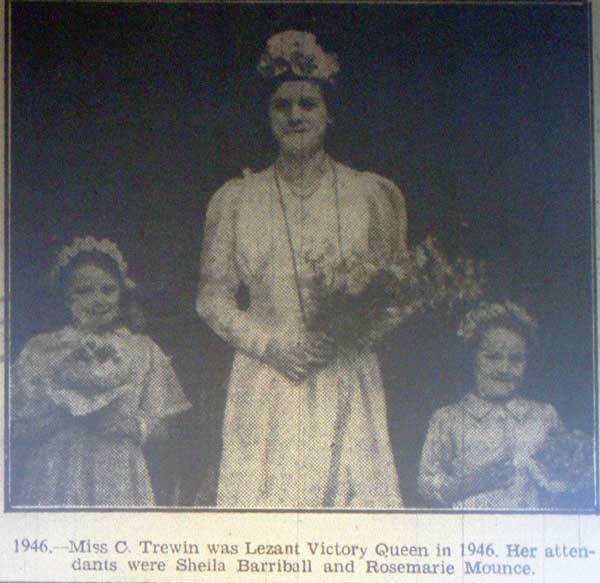 Leonard was born in 1894 to Thomas and Emma Bray at Landue Mill, Lezant. His Father was a Agricultural Worker. By 1911 Thomas had passed away and the family had moved to Tredown Cottages, Lezant with Leonard working as a Farm Labourer. He enlisted at Holsworthy with the Royal North Devon Hussars Yeomanry as a Private (Regimental No. 930) with the 1/1st although. At the time he was residing at Beaworthy, Devon. The 1/1st were with the 2nd South Western Mounted Brigade, who in September 1915 left Colchester for Liverpool. On September 24th it boarded ‘RMS Olympic’ and sailed the next day. It arrived at Mudros on October 1st and then on to Suvla Bay. The regiment landed in Gallipoli on October 9th and was attached to the 11th (Northern) Division (digging trenches). In November it was in the firing line, attached to the 2nd Mounted Division and 53rd (Welsh) Infantry Division. It was during this November fighting that Leonard was killed in action on November 29th, 1915 aged 22. He was interred in the Green Hill Cemetery, Turkey. Plot I. Row A. Grave 19. He is commemorated on the Lezant War Memorial. Thomas was born in April 1897 to Harry and Jane Budge at Lezant. (Listed as Charles Thomas on the memorial) He enlisted with the 1/6th Battalion of the Duke of Cornwall’s Light Infantry. as a Private (Regimental No. 20872). Thomas was killed in action during the Battle of Passchendaele on October 19th, 1917. His body was never identified but his name is commemorated on Tyne Cot Memorial, Zonnebeke, West-Vlaanderen, Belgum. Panel 80 to 82 and 163A. He is also commemorated on the Lezant War Memorial. Henry was born on July 27th, 1892 in California, USA to Harry and Bessie Doney. His Father was a Fruit Grower at Chilsworthy in 1901, but by 1911 was Dairy Farming at Treburley with Henry working on the farm. In 1913 Henry emigrated to Canada, arriving in Halifax, Nova Scotia aboard the ‘Royal Edward’ on April 8th, 1913. He enlisted on January 9th, 1915 at Edmonton, Alberta, Canada as a Private with the Canadian Infantry (Alberta Regiment No. 432571) 49th Battalion. He was wounded on August 7th, 1916 but recovered to return to his Battalion shortly after he was promoted to Sergeant. He was killed by a shell explosion when leading his men into an attack in the vicinity of Passchendaele on the October 30th, 1917 during the Second Battle of Passchendaele. He was interred at the Poelcapelle British Cemetery, Langemark-Poelkapelle, West Flanders (West-Vlaanderen), Belgium, Plot 9, Row E, Grave 11. He is also commemorated on the Lezant War Memorial and the Canadian Virtual War Memorial. William was born in 1878. He was married to Beatrice Hodge and they resided at Devonport, Plymouth. William was a Leading Seaman with the Royal Navy (Service No. 186532) and was serving aboard ‘HMS Nymph’ when he when he was killed in a train accident at Motherwell Station on October 31st, 1915. He was interred at the Ford Park Cemetery, Plymouth. He is also commemorated on the Lezant War Memorial. Ernest was born in 1893 at Ruses Mill, Lezant to John (Barber) and Mary Jasper. He worked as a Waggoner and horseman for his stepbrother Thomas Jasper who was the miller at Ruses Mill. Ernest would have been conscripted in late 1916 and reported for training with his training unit the Hampshire Regiment 13th (Service) Battalion as a Private (Regimental No. 8/4864). Ernest fell ill during his training and was admitted to the Red Cross hospital at Littleham, Exmouth. Ernest’s illness of broncho pneumonia which was aggravated by measles and he passed away on the February 28th, 1917. 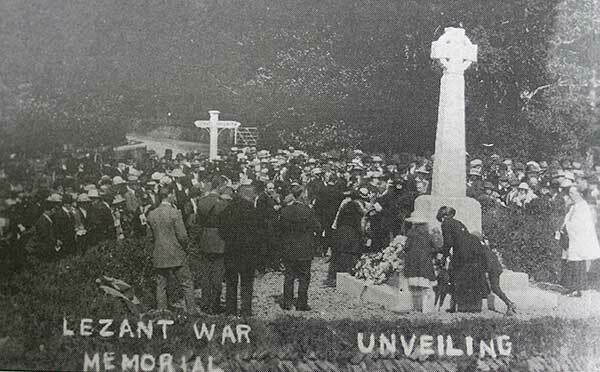 He was interred at the Wesleyan Chapel, Coads Green and is commemorated upon Lezant, North Hill and South Petherwin War Memorials. Wilfred was born on March 23rd, 1893 at No 4 Roundhill Coattage Lezant. Son of Charles and Annie Lane, of Lezant Cornwall. His Father was an Agricultural Labourer. By 1911 Wilfred was working for Mr. Albert Evans at Undertown Farm, Lezant as a Waggoner. He emigrated to Canada in 1913 at the same time as Henry Doney, arriving in Halifax, Nova Scotia on April 8th, 1913. He was a Farmer by trade. He enlisted and passed fit on September 13th, 1915 at Winipeg, Manitoba, Canada as a Private (Regimental No. 829773) with the 44th Battalion, Canadian Infantry (New Brunswick Regiment). On enlistment is was recorded as being Height 5 feet 2½ inches, girth 35 inches, complexion medium, eyes blue, hair brown; and a Methodist. The 44th Battalion disembarked in France on August 12th, 1916, where it fought as part of the 10th Infantry Brigade, 4th Canadian Division in France and Flanders until the end of the war. Wilfred along with his Battalion saw action at the battles and engagements of Le Transloy, Ancre Heights, Ancre and Vimy. He was reported as missing during the actions South of the Souchez River which was a flanking operation towards Lens during the Arras offensive of 1917. It was soon confirmed that he had been killed in action on June 3rd, 1917 aged 24. He was interred in the La Chaudiere Military Cemetery, Vimy, Pas de Calais, France. Plot V, Row B, Grave 13. He is also commemorated on the Lezant War Memorial and the Canadian Virtual War Memorial. Walter was born on December 13th, 1894 at Abbotsham, Bideford to Samuel and Emily (nee Glover) Lee. His Father was an Agricultural Labourer and moved his family around to where he could find the work. 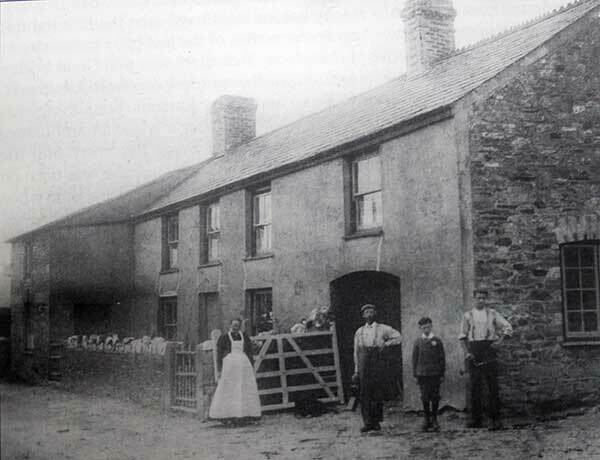 By 1911 the family are residing at Watergate, St. Mellion and Walter is working as a Labourer working in a fruit garden. 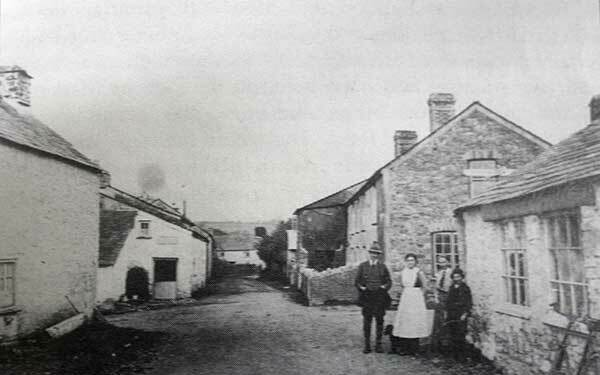 The family moved again around 1914, having been living at the Sportsmans Arms at Treburley to Lower Larrick, Lezant. Walter joined the Royal Navy as a Stoker 1st Class (Service No. K/16772) on November 13th, 1912 for a 12 year service period. After his initial training he joined the crew of ‘HMS Indefatigable’ on the 17th of June 1913. The Indefatigable was sunk during the Battle of Jutland and he died on May 31st, 1916 aged 20. His body was never recovered but his name is commemorated on the Plymouth Naval Memorial, Panel 16. He is also commemorated on the Lezant War Memorial. Indefatigable was sunk on 31 May 1916 during the Battle of Jutland, the largest naval battle of the war. Part of Vice-Admiral Sir David Beatty’s Battlecruiser Fleet, she was hit several times in the first minutes of the “Run to the South”, the opening phase of the battlecruiser action. Shells from the German battlecruiser Von der Tann caused an explosion ripping a hole in her hull, and a second explosion hurled large pieces of the ship 200 feet (60 m) in the air. Only two of the crew of 1,019 survived. William was born in 1897 to Thomas and Emma Osborne at Lawhitton. His Father was a Carpenter working on his own account. On leaving school, William went to work for Mr. John Wills of Trelinnoe Farm, South Petherwin as a Farm worker. He enlisted at Bodmin with the Duke of Cornwall’s Light Infantry as a Private (Regimental No. 240696) serving with the 1st/5th Battalion. He was killed in action during the German spring offensive at the Somme on March 21st, 1918 aged 21. At the time of his death his Parents were residing at Penscombe Cross, Lezant. His body was never identified but his name is commemorated on Pozieres Memorial, Somme, France. Panel 45. He is also commemorated on the Lezant War Memorial. 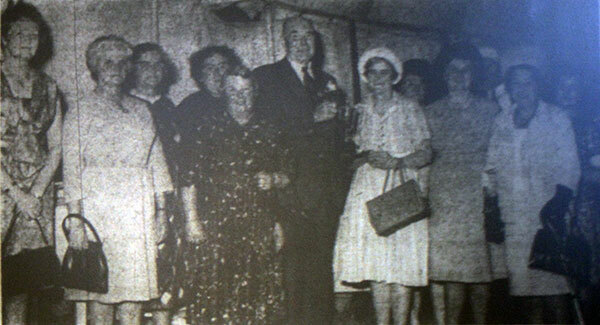 Charles was born in 1886 to George Henry and Henrietta Roberts at Newbridge Inn, Lezant. His Father was a Carpenter working on his own account. On leaving school, Charles worked for his Father as a Carpenter’s Apprentice. By 1911 he is still living with his parents at Wooda Bridge, Lezant and working as a Carpenter and Wheelwright. He enlisted at Launceston with the Royal Army Service Corps. (Regimental No.TS/10556) on the 5th of January 1916 serving with the 2nd Depot Company as a Wheeler. Whilst beginning his service at Woolwich he caught cerebrospinal fever and was admitted to the Royal Herbert Hospital on the 9th of April. He never recovered and died on the 18th of April 1916 aged 30. He was interred at the Greenwich Cemetery, London Plot 3, Row A, Grave 347. He is also commemorated on the Lezant War Memorial. Elias was born in 1895 to George and Mary Sanders at Wooda Bridge, Lezant. (The family were next door neighbours to Charles Roberts above). His Father worked as a General Agricultural Labourer. On leaving school, Elias went to work for Mr. Thomas Bickell at Hexworthy Farm, Lawhitton as a Farm Labourer. He initially enlisted at Launceston with the Royal Field Artillery (Regimental No.164212) but was later transferred to the Yorkshire Hussars (Alexandra, Princes of Wales’ Own) as a Private (Regimental No. 42460) serving with the 9th Battalion. He was awarded the Military Medal in June, 1917 after action at Mount Sorrel in the previous May. He was killed in action during the attack on Inverness Copse part of the Battle of Menin Road on September 20th, 1917. His body was never identified but his name is commemorated on the Tyne Cot Memorial, Zonnebeke, West-Vlaanderen, Belgium. Panel 52 to 54 and 162A. He is also commemorated on the Lezant War Memorial. The Battalion advanced into Inverness Copse at 5:40am in the dark and mist combined with smoke across shell pitted ground littered with broken trees and barbed wire. They took cover in the shell holes. They were attacked by scattered remnants of Germans from their rear using grenades. At least 30 Germans killed in the Copse during the night. An assault was made on dugouts within the German frontline involving hand to hand fighting. Consolidated the capture positions and held off a counterattack. The Battalion lost 19 men killed, 139 wounded and 27 missing in action during this action. 4 officers killed and 6 wounded. 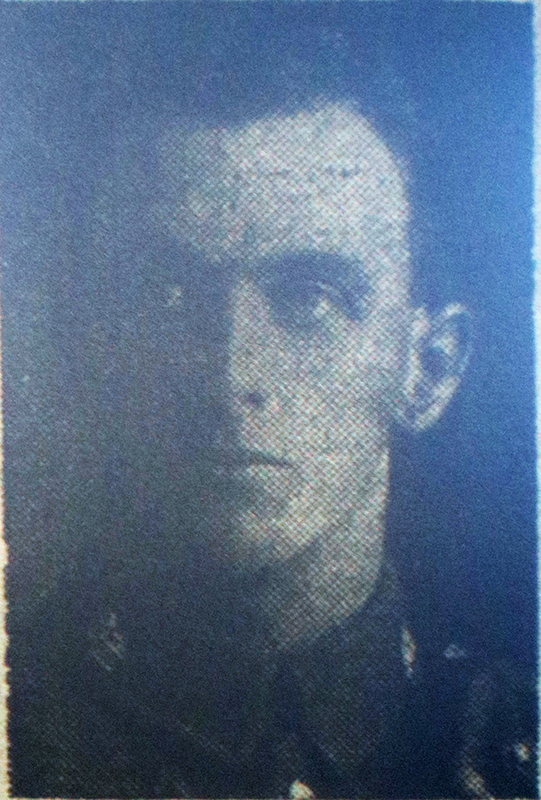 Lieutenant Colonel R S Hart was in command of the Battalion at this time. John was born in 1886 to Thomas and Elizabeth Steed at Trekenner, Lezant. His Father was an Agricultural Labourer. 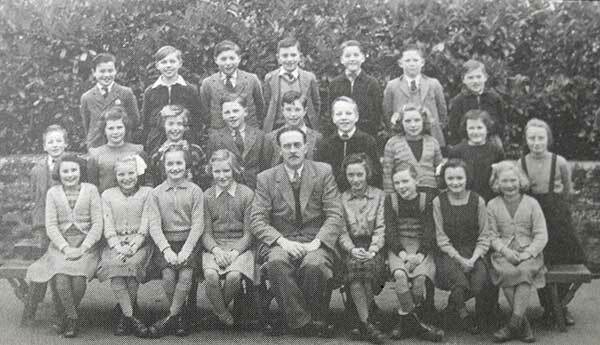 On leaving school, John went to work for Mr. Richard Martyn at the Glebe Farm, Lezant as a Farm Worker. By 1911 he was working for his Father on the family’s farm at Pengloss, Treburley. John enlisted at Launceston with the Duke of Cornwall’s Light Infantry as a Private (Regimental No. 240943) serving with the 1st Battalion who were part of the 5th Division in France. During 1917 the Division saw action at the Battle of Vimy, the Attack on La Coulotte, the Third Battle of the Scarpe, the Capture of Oppy Wood, the Battle of Polygon Wood, the Battle of Broodseinde, Tthe Battle of Poelcapelle and the Second Battle of Passchendaele before being deployed to Italy in December 1917 to strengthen Italian resistance after a recent disaster at the Battle of Caporetto and positioned along the River Piave. With the German Spring Offensive in full charge, the Division were once again recalled back to France in late March 1918 and were in action during the Battle of Lys. On August 14th, the 5th Division were withdrawn for two weeks rest. Having moved to the Somme during late the August of 1918, the Division were more or less in continuous action over the old battle fields until late October 1918. It was during this fighting that John was killed in action on September 22nd, 1918 aged 32. His body was never identified but his name is commemorated on the Vis-En-Artois Memorial, Pas de Calais, France. Panel 6. He is also commemorated on the Lezant War Memorial. Richard was born in 1902 to Robert Haig and his wife. In 1938 He married Amy Roberts at Launceston. Richard joined the Royal Navy as a stoker (Service No D/K 65336). He eventually made Leading Stoker. It was whilst serving at ‘HMS Cochrane II’ (HMS Cochrane II was the Rosyth supply and accounting base for tenders between 1940 and 1945) that he died on June 4th, 1941. 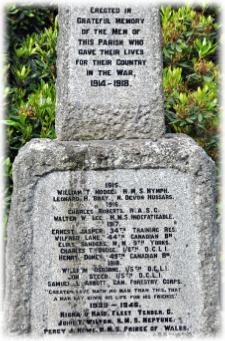 He is commemorated on the Plymouth Naval Memorial, Panel 52, Column 2. and Lezant War Memorial. At the time of his death, his wife, Amy Haigh, was living at Bodmin. Percy was born in 1910 to Edward and Edith Rowe at Lezant. 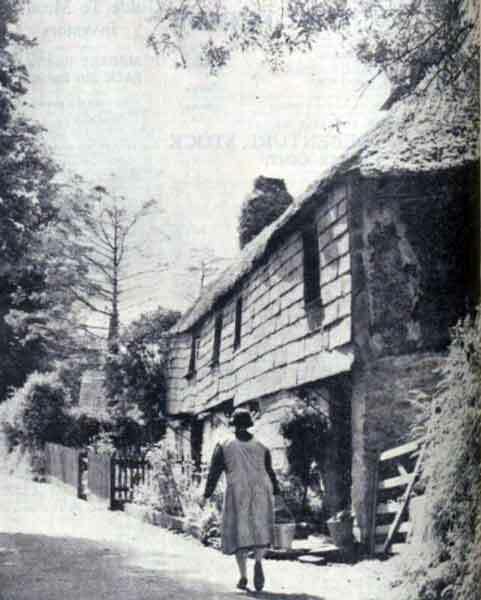 His father was a General Carpenter and the family lived at Tredown Cotages, Lezant. Percy joined the Royal Navy as an Able Seaman (Service No. D/JX 128324). It was whilst serving aboard ‘HMS Prince of Wales’ that Percy lost his life. The Japanese had landed in northern Malaya. Prince of Wales, Repulse and four destroyers were sent to attack the invasion force. After finding no targets, the British ships were returning to Singapore when, late in the morning of December 10th, they were attacked by a strong force of Japanese high-level bombers and torpedo planes. With no friendly planes to protect them, both heavy ships were hit several times. Repulse sank at about 1230. Prince of Wales capsized and followed her to the bottom less than an hour later. His body was never recovered but his name is commemorated on the Plymouth Naval Memorial,Panel 48, Column 2. He is also commemorated on the Lezant War Memorial. He left a widow, Joan (nee Munt) Rowe, of Chard, Somerset.